I can only speak for myself here, but a number of us who have blogs have encountered you in our comments section, and despite the fact I don’t post your copy-and-paste remarks, they keep coming. I’ve tried to contact you directly on this, but with new comments occasionally continuing to arrive, I thought we’d try this format. I love your passion. Just a tree or plant explodes many seeds, you scatter a great many messages that land in a great many places. That takes time, and dedication and a deep conviction that you’ve got the hottest news on the rack. But blogging was never intended to be what you expect of it. Rather, it started out as social media which means the comments created community. I can’t tell you how many people I now exchange offline communications with that began with our interactions in the response section of various blogs. You can’t build rapport, or have a dialog with people when you simply copy/paste mass commentaries. You seem to to be content to be a troll, and as you’re trolling and looking for certain keywords, you then interject your comment/sermon without any direct reference to the article or piece in question. Calling you a troll hurts, because theologically, we’re probably on the same team on the essentials. But, you’re going about it all wrong. And Steve, you’ve been on the internet long enough to know that using CAPITAL LETTERS just turns people off. You’re yelling at them, Steve; and that’s not how to make friends. You see, it’s not enough to have the truth. Ephesians 4:15 says (and I know you like Bible verses) “Instead, speaking the truth in love, we will grow to become in every respect the mature body of him who is the head, that is, Christ.” It equates maturity in the Christian life not to just speaking truth, but doing so in a loving manner. Part of that I believe comes in earning the right to be heard. Steve, wouldn’t be a shame if instead of drawing people to the Kingdom of God, you were driving them away? The corollary to yesterday’s discussion is that if I do choose to copyright my blog writing here, I am basically saying this is mine; I wrote this, I created it, it was my talents and my gifts that went into creating it. You can however engage the commercial marketplace and at the same time take no money (or very little) for your wares. Keith Green is a name that some of the younger generation don’t know, but Keith basically said that if anyone couldn’t afford his records or cassettes, he would send them copies free of charge. It was radical at the time — and would be even more so today — and Keith took ribbing that perhaps he was also going to ship stereo systems to people who had nothing on which to play the music. Keith Green would have loved blogging — he’d have about ten of them — and would be fighting hard for the open source blogosphere we talked about yesterday, and also almost exactly two years ago. (The post then was triggered by an irate blogger at C201 as well, so we’re running one complaint every 700+ articles, which isn’t bad.) In fact, Keith would argue for open source thinking in a variety of Christian media and art. The whole premise of the sister blog to this one, Christianity 201, is that we search the internet for sources of daily Bible exposition and discussion. Unlike the Wednesday Link List, where some people click and some people just read the list, I think it’s important that these devotional meditations get seen in full, and statistics bear out the reality that most people don’t click through. Personally, there’s nothing on this blog that isn’t up for grabs, provided it’s cited properly and quoted properly and being used non-commercially. Like this article? Help yourself. Yes, I have been paid to write and could thereby consider myself a professional writer; but this is only a blog and it’s vital not to get too caught up in your own sense of self-importance; and I say that not out the spirit of someone who is loaded with wealth, but as a person who has had no specific fixed income for 19 years. There is a Part Two to this which appeared the next day. – How have you seen the Christian blogosphere change and evolve since you started? I don’t know if it has changed so much as I have simply become more aware of things. If a person is simply starting out from scratch and wants to read what Christians are writing online, they may or may not notice these things right away. First they’re going to find the Christian blogosphere, like Christian publishing, is mostly dominated by voices from the Reformed tradition. The second thing they might discover is some mostly conservative fringe groups occupy a disproportionate amount of bandwidth online. The third thing they might observe is that the Christian blogosphere as we tend to experience it is dominated by American voices. The fourth thing that’s apparent is that everyone seems to have a book to sell, or at least books that if you buy them, the blogger gets a piece of the action (something I’ve never done at Thinking Out Loud). So if you want balance, you have to dig a little deeper and seek out the writers who don’t appear as often in the search results, are from other places, don’t have a particular agenda, or aren’t trying to sell things. So I’m not sure if much has changed or just that I’ve become more analytical over time. – Are there trends in blogging/coverage that you see as particularly encouraging? Or that concern you? My greatest concern is that the banter back-and-forth online doesn’t end up polarizing people, or alienating new believers or seekers. The Christian blogosphere is a microcosm of the larger church and while the optimist in me longs for a day when the Body of Christ is more unified, there are signs that some groups are slowly splintering off, reminding me of what scientists call “continental drift.” I guess I also long to see more original writing. It’s so easy to simply reblog something that a noted Christian leader said that week, or the latest examples of moral failure. The same voices and the same stories are constantly echoing off the internet walls. There are also some high profile bloggers who no longer accept comments. I can understand their frustration, but at that point, in my opinion, their blog isn’t really a blog, and there’s no opportunity for dissent on the one hand, or building reader community on the other. – What types of stories and news interest you the most? 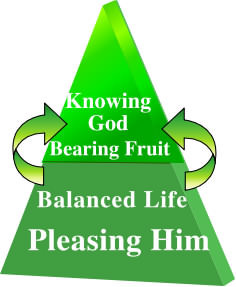 I love celebrating when somebody is doing something truly refreshing, willing to reinvent the ecclesiastic wheel, so to speak; or doing something online that is entirely seeker targeted. But I also enjoy simple things like music reviews. The Christian blogosphere is completely dominated by book reviews, but I believe Christian music is still a powerful force. The problem is nobody is servicing social media writers with the latest CDs. And I love writers who leave themselves vulnerable, pastors who are transparent, or leaders who are willing to do Q & A online. 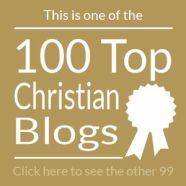 I like blogs that are entirely faith-focused. The pastor who is into Formula One racing on the weekends, really should have two blogs, not one. The home-school mom who writes about the struggles to be both parent and teacher really needs a separate blog for reporting her Thai food experiments. – Some of your links are obviously oddball, news-of-the-weird-type church occurrences. 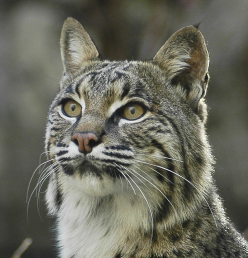 Do you think it matters that we pay attention to stories like these? Or is it just for fun? There’s a danger in paying too much attention to the quirky stuff. 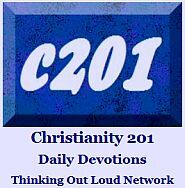 I noticed that early on, and started a daily devotional blog, Christianity 201 (C201) which I’ve been doing now for 365 days a year since April, 2010. It gets 100-200 readers daily, but even if nobody showed up, I’d do it because it keeps me balanced. Each day’s reading contains some scripture. It is really difficult some days to find new sources for C201 articles. There is a lot of personal opinion online, but not so much Bible exposition. I’ve talked to many bloggers about guest writing for me at C201 who’ve said, “I could never do devotional writing.” A few of those were pastors. But I’ve digressed from your question. I think the weird stories remind us how much goes on in the name of Christianity, and how much latitude some people feel their faith affords. We have to remember that some week, these stories are the only perception some people have of what Christians and Christian living looks likes. Scary! – Out of Ur is a resource aimed at pastors and church leaders. How important is it for today’s leaders to be online and following news and blogs? What are the benefits? I think even pastors in small rural churches need to have a macro view of what’s going on outside their own geographic area and their own denomination. The blogosphere offers a bigger picture. But more to the point, I think that Christian blogs offer insights into resources and ideas that may be applicable. Despite both mass marketing and niche marketing by Christian publishers, many pastors are blissfully unaware of what’s out there in terms of resources for evangelism, small group ministry, or even the church library. For several different reasons, my wife and I haven’t attended much in the way of Christian conferences, but through the internet — whether it’s an important blog article, a sermon podcast, or the latest worship song on video — we can feel the same ‘recharge’ that Christian leaders get when they attend such things, minus the bad night’s sleep at the hotel! 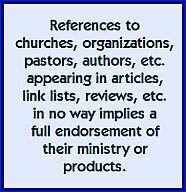 If you don’t do conferences and don’t do Christian blogs or news sites online, you might be operating in a ministry vacuum. I also think it’s important for pastors and church leaders to be aware of trends, but also to be aware of the people who are influencing their people. There are few websites where you have to show ministerial credentials to gain entry. The ‘net allows equal access and pastors need to see and hear the voices their parishioners are reading and listening to. It takes a lot of work to be aware of everything, but this is an information age. Look for the link list every Wednesday at Out of Ur. Have I really been doing this for five years? Apparently. What do I want as a birthday present? More comments. Why am I using this awkward question and answer format? I have no idea. So here we are at the five year mark. Marks for consistency, right? Like the student whose marks are influenced by the fact they had perfect attendance. But an exercise in consistency and personal discipline isn’t a bad thing, right? Generally, although it is a lot of work some weeks, I am really happy that I launched Thinking Out Loud all those years ago. I have met some of the greatest people, been encouraged to read some of the most interesting books, have been kept abreast of some of the most bizarre religious news stories, and mostly, I have been forced to think about things that I might have never considered. And then there’s Christianity 201, which is very much a part of the Thinking Out Loud story. If you have trouble maintaining a steady Bible study and devotional habit, then start a Bible study and devotional blog. Seriously. Even if nobody shows up to read, it is its own reward; which I realized last week when an hour’s worth of research and quote-pasting disappeared completely. It was frustrating, but I knew that time was primarily for me, and that perhaps the full text I had prepared was never meant to be seen by the blog readership. I was suffering from a case of general malaise and, punctuation issues and was several weeks between jobs and just not very happy. Then I started reading Thinking Out Loud. I noticed an unquantifiable change began to take place as I was reading. Within the next five days I was able to get a job and even though my new employer may not be operating legally, my malaise disappeared and was replaced by a blissful feeling of indifference, which I believe is better. So I wrote to you and you told me to write this testimonial and to embellish the facts a little.~ B. R.
*an actual reader response from an actual reader which we made up ourselves. And I believe that reader speaks for all of you. Special Shoutouts: Clark, Cynthia, Martin & Nancy, Cloudwatcher, Regent Jon; and everyone else who comments and sends link suggestions — Thanks! You know who you are! To Ruth (aka Mrs. W.) thanks for the typo spotting and transcribing. Finally: For those feeling disappointed that there’s no actual content here today, or certainly nothing new, we want to introduce you to Derek The Cleric. (I had a hard time choosing which panel to include!) Be sure to check out his website and Facebook page.